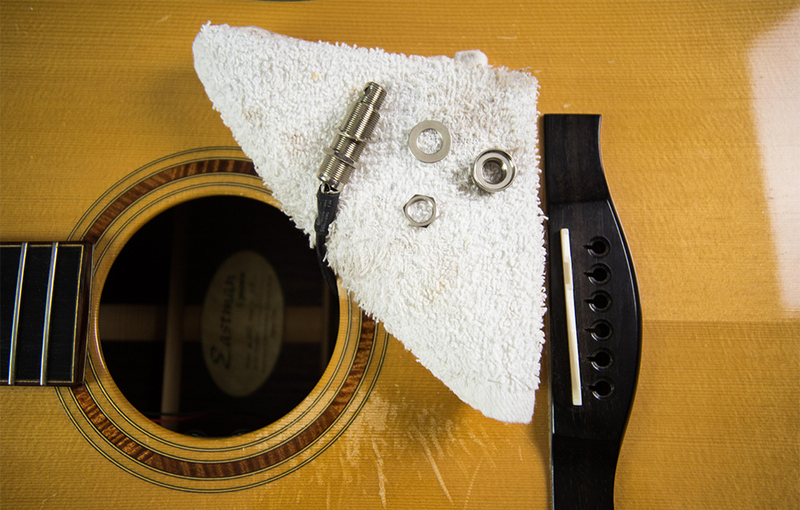 A loose endpin jack is one of the most commonly occurring problems with acoustic and acoustic/electric guitars, but surprisingly, it's also one of the easiest to fix. Just like an electric guitar, the output jack on an acoustic guitar is essential to the signal, but it can be even more precarious. 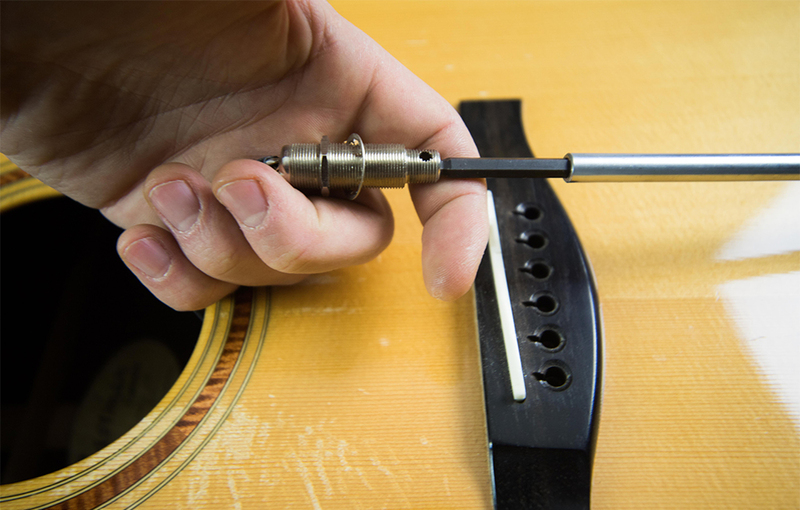 Many acoustic guitar pickup and preamp systems come with an endpin jack. It carries the pickup’s signal like a traditional output jack, while also keeping the guitar strapped to the player’s body. It’s an enormous responsibility for such a small component. 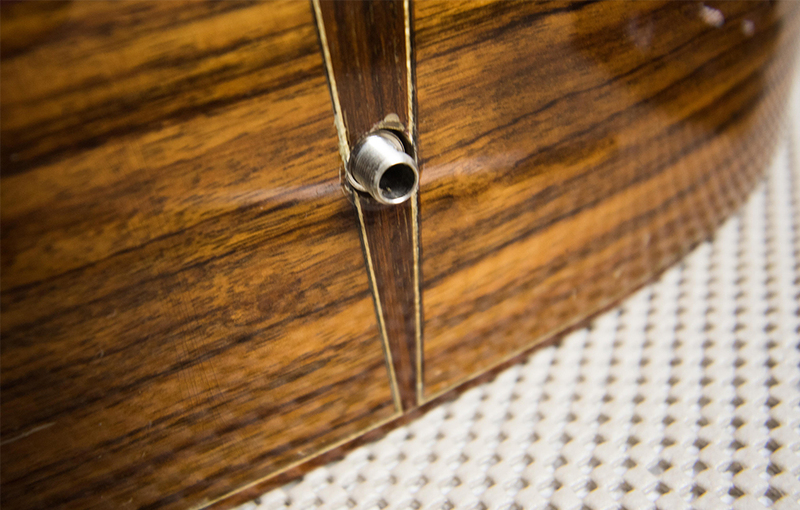 Inevitably, a barrel jack loosens up as it’s used and sometimes even falls into the body of the guitar, along with its locking washer and hex nut. 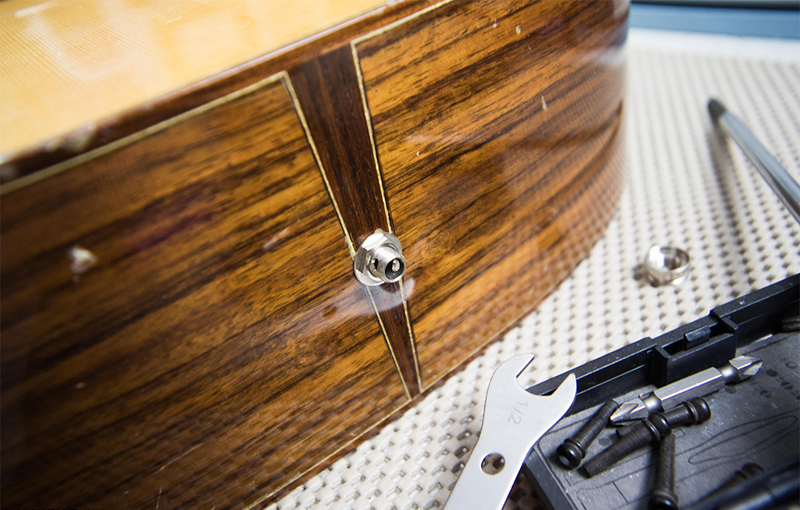 It’s important to re-install the jack when this happens, so the jack isn’t dangling loose inside the guitar’s body. Insert a long-shaft hex wrench (or screwdriver, or wooden dowel) into the body via the endpin block hole. This should feed the jack through it’s channel, leaving just the tapered end of the jack sticking out of the body. You can screw in or back off the hex nut as needed to adjust for depth. From there, just re-attach the washer, then the hex nut, then the strap-button cap. It’s easy to prevent this problem from occurring in the long-run by going easy whenever you unplug the cable from your acoustic/electric after the gig's over. What's the Best Way to Wind Guitar Strings Around Tuning Pegs?